All of us want to age gracefully, isn’t it right? But as we age, the elasticity of our facial muscles starts reducing. Precisely, age makes our skin cells less active, which eventually breaks down the natural collagen and elastin present in them. Result? The muscles start to elongate by dragging the skin downward. While surgical facelift procedure can help you get your firm contour back, you can also choose facelift without surgery to look younger by eliminating those skin pouches near the edge of your face. Want to know more? Keep reading. Why Opt For Non-Surgical Facelift? All of us secretly hope for our youthfulness to be preserved for as long as possible. We never fail to do our bit with topical applications and home remedies that help us battle signs of aging on the face. But many of us avoid getting a surgical facelift done either due to budget constraint or from the fear of going under the knife and not getting the desired results. Here comes the importance of non-surgical facelift. With so much advancement in technology, there are now different ways of performing a facelift without surgery and opting them will also give you great results. 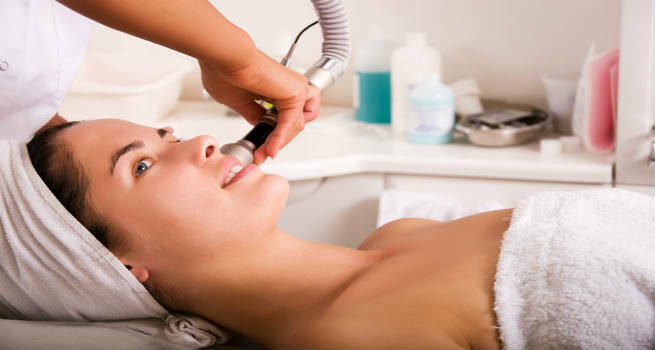 When it comes to taking years off the face without going under the knife, the Microcurrent Facial works the best. It provides an instant lift without significant downtime. How It Works: As the name suggests, it uses ‘microcurrent’ (a very low level of electricity) to re-train facial muscles (‘Muscle Re-Education’) for maintaining a new contour through lifting, smoothening, tightening, and toning. Around 32 different muscles in the face are manipulated (shortened and lengthened) in a series and then, physically moved into the desired position. Microcurrent triggers chemical reactions in the cells, thereby boosting the production of natural collagen and elastin. Procedure: It includes a series of 4-15 sittings (depending on your age and extent of sagging) throughout a few weeks. After this entire session, you will start seeing a tightened and toned skin. You would then need to undergo one maintenance sitting every 4-8 weeks. Repeating both treatment and maintenance sessions every few years will help you enjoy the results for 3-4 years. Benefits: Smoother, firmer, and rehydrated skin, improved blood circulation, enhanced muscle tone and elasticity, increased collagen and elastin production, reduced signs of aging, and better product penetration. Cost: One sitting costs a few hundred dollars. In this method, a combination of injectable fillers is used to improve the overall appearance drastically without considerable downtime. The only concern is that it is not long lasting and the skin needs to be topped with up more injections regularly. How It Works: In this procedure, dermal fillers (Radiesse, Juvederm, Sculptra, Artefill, Perlame, etc.) are injected into the facial skin for minimizing or erasing fine lines, filling out droopiness, and enhancing the facial contour. Procedure: A mixture of different kinds of liquid injectable, working as muscle immobilizers, are injected into the skin. It may include Botox to prevent fine lines and wrinkles, hyaluronic acid to rejuvenate the skin, and Juvederm which is used as a filler. If done correctly, a liquid facelift can help in lifting up the skin and plumping it. Benefits: Fixes issues, such as mild jowls, crow’s feet, volume loss, lines along the side of the nose and chin, vertical lip lines, facial asymmetries, and so on. Cost: The cost of one injection ranges from $600 to $2000. Pelleve is a mild facelifting treatment that boosts the skin’s ability to produce collagen. This automatically fills up your skin and makes it look plumper. It is a painless method with no downtime and only a soothing effect. How It Works: A small radio-frequency (RF) device is used on the skin to shrink the existing collagen and stimulate the production of new collagen. The device is used for around 30 minutes in a go and it completes one highly effective session. Procedure: The RF energy heats up the lower layers of the skin (without affecting the surface layer) very gently, thereby making the collagen tighter and boosting the growth of new collagen. It smooths out wrinkles, fine lines, etc. and lifts the skin in just 2 treatments spaced about 4-6 weeks apart. Benefits: Better skin quality, increased firmness, more youthful look, and decreased signs of aging. Cost: It costs anywhere between $600 to $2000 to get the treatment done. 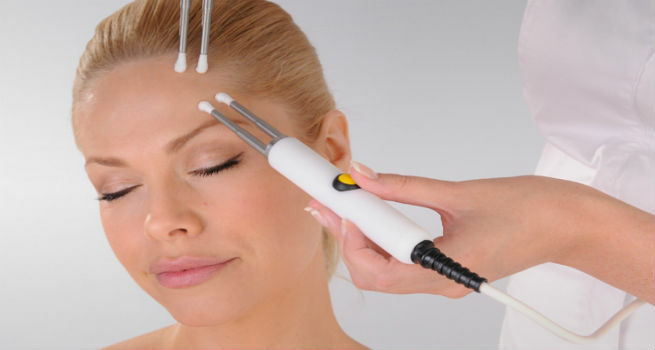 Laser Facelift is a minimally invasive facial rejuvenation that comes with sophisticated precision. It lifts the lower face, wards off wrinkles, and replenishes the skin with little or no downtime. In short, it is a perfect non-surgical procedure for retaining the youthful look. How It Works: The Laser Facelift makes use of the advanced laser technology for stimulating tissue coagulation and promoting collagen production, thereby tightening the skin and lifting it up. Procedure: This method uses Intense Pulsed Light that targets skin imperfections like sun damage, acne, and scars and also helps the skin produce more collagen, thereby smoothing out wrinkles. It takes about a week after the procedure to see the results. During this time, your skin may turn pink due to the production of new skin cells. Benefits: More skin tightness, minimized signs of aging, such as superficial or medium-depth wrinkles, fine lines around eyes and mouth, sagging jowls, etc. Cost: It costs anywhere between $250 and $500 for one session and you would need 4-6 sessions depending on your age. How Effective Are Non-Surgical Facelifts? Let’s face it, the non-surgical facelifts cannot give you the degree of tightness or the lasting effect of the surgical facelift. But for those not wanting to go under the knife, these are great options to rejuvenate and plump up the face. The procedures need to be topped up regularly with additional sittings in order to maintain the sculpted look. But other than that, they are cheaper and safer than surgical facelifts.